Diaz also might start the season on the injured list. 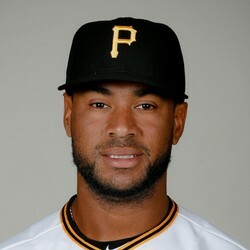 This illness will unfortunately put Diaz well behind Francisco Cervelli in the position battle at catcher. Diaz was fighting an uphill battle to begin with, but now he'll almost certainly be relegated to backup duties when he returns. He posted a solid .792 OPS in limited playing time last season, and when healthy Diaz could push Cervelli for playing time, but for now he should be off draft boards in all but the deepest leagues.